Our most popular mineralized agricultural salt, Trace Mineralized Salt contains the six core micro minerals required for basic animal health. The proper combination of zinc, manganese, cobalt, copper, iodine and iron optimizes your herd’s weight gain, feeding efficiencies and overall performance. 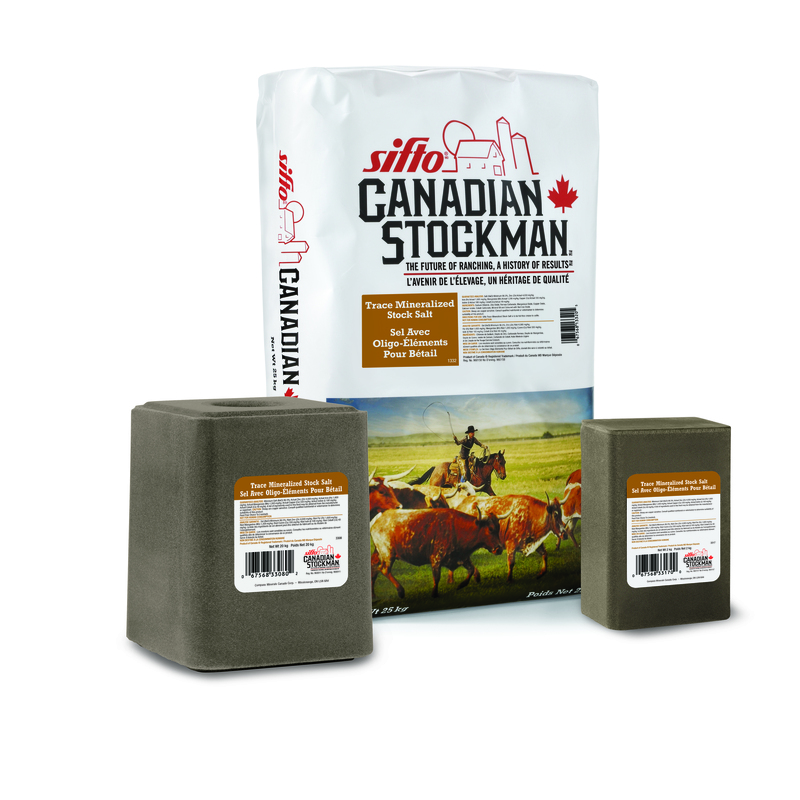 This product is formulated for all classes of beef and dairy cattle, pigs and horses. Available in 25-kg poly-lined paper bags*, 2-kg/10-lick cases and 20-kg blocks.